“This is Karate” two “old” videos that show Karate. One likes the wrapping and the atmosphere that these two videos have – and not least the content. Knock out collections are often seen on youtube, and there are knock outs here too. But one feels that there are also many clips that contain the essence that one seeks in the execution of a technique. Accuracy, timing, speed, power. And perhaps what should impress most: the effectiveness of a properly executed technique that is not performed spectacularly with jumps, scrolls and acrobatic touches. 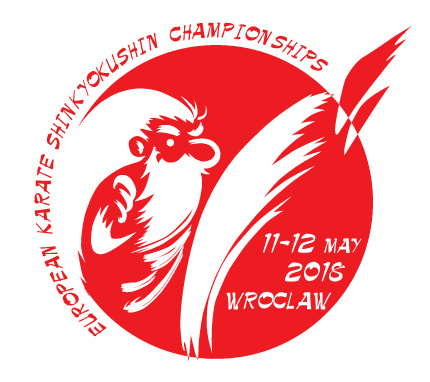 About three month Poland will held the European Shinkyokushin Championship for seniors and juniors. Poland hosted the European Championship in 2015, and really showed a professional tournament – organizing as well as participating. Recently U22 European Championship was held 2017, also a great success, and looking to the future we know that the World Championship in weight categories will also be held in Poland. But this year, 11 and 12th of May, the European Championship in Shinkyokushin will be held – and we are in for a sneak preview of things to come! Presented by two of the profiles: Agata Winiarska (Kaliciak) and Konrad Kozubowski.